It has been out in print for almost a year, but now Blood Feud finally out in ebook! You can either get it for your kindle at Amazon or as epub at Smashwords. This is the first book in the Emperors of Ethia. If you are a science fiction lover or just love books in general, check out the beginning of this epic series that dives into a galaxy ruled by an authoritarian Emperor who’s determined to settle once and for all the successor of his throne, and a son determine to find out more about his true role in the Empire. Blood Feud Release: It’s Official! 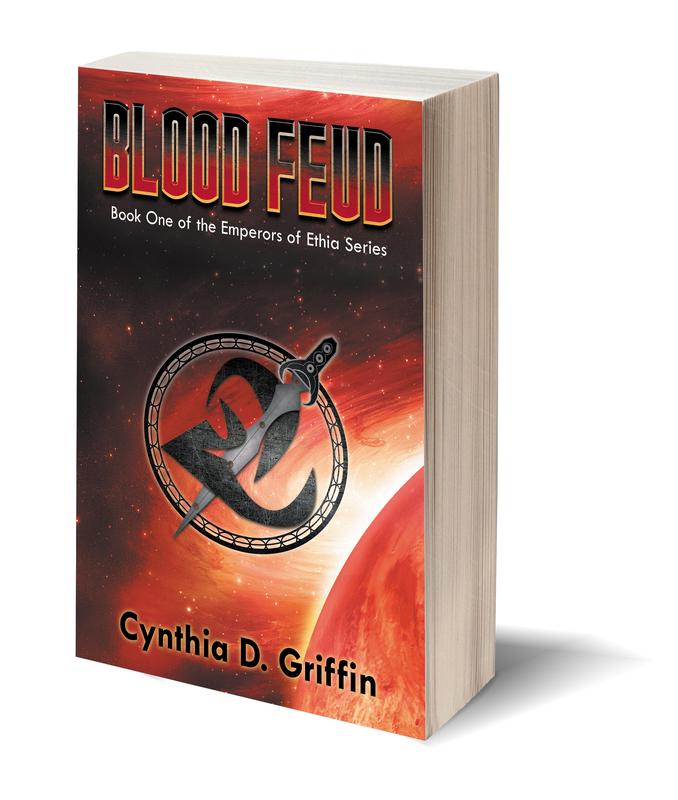 Here it is available for purchase, Blood Feud the first book in the Emperors of Ethia! Can’t believe the day is finally here. If you are a science fiction lover, check out the beginning of this epic series that dives into a galaxy ruled by an authoritarian Emperor who’s determined to settle once and for all the successor of his throne, and a son determine to find out more about his true role in the Empire. After twenty-two years being held captive on an Outlander world, the long lost Prince Adar Zahn is finally brought back to his true home, but without any memory of his past. As he searches for the answers about himself and what is expected as the Emperor’s sixth son, Adar discovers how difficult trust is to find and that the truth can be worse than a lie. On his journey of discovery, he is left with questions about himself, a growing foreboding about his family, and a rising urgency to discover more about a vaguely mentioned Blood Feud. Can he unravel the mystery that surrounds him before it’s too late? The end. 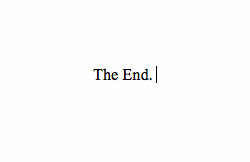 The most two satisfying words a writer can ever write. The end. Two words standing alone that means more than all other words put together. And as those two words are written and then stared at in shocked disbelief, a rush of emotions hit in one great punch. Ecstatic happy dancing commences… Swirling ribbons of sadness twist in the stomach at the realization that a great journey is finally over… But mostly a profound relief settles and solidifies as the truth finally hits home… after countless days of hard work, overcoming large bouts of self-doubt and writer’s block, constant rewrites and edits, and grueling self imposed hours The End finally came. Yeah, that was me three weeks ago as I finished my novel Blood Feud.